Bestech Knives Paladin Liner Lock Knife Black G-10(BG13A-1) Knives, throwing knives, fantasy knives, movie knives, tactical knives, hunting knives, etc. Bestech Knives Paladin is a full-size folding knife that has been designed to be comfortable to wear on a daily basis. 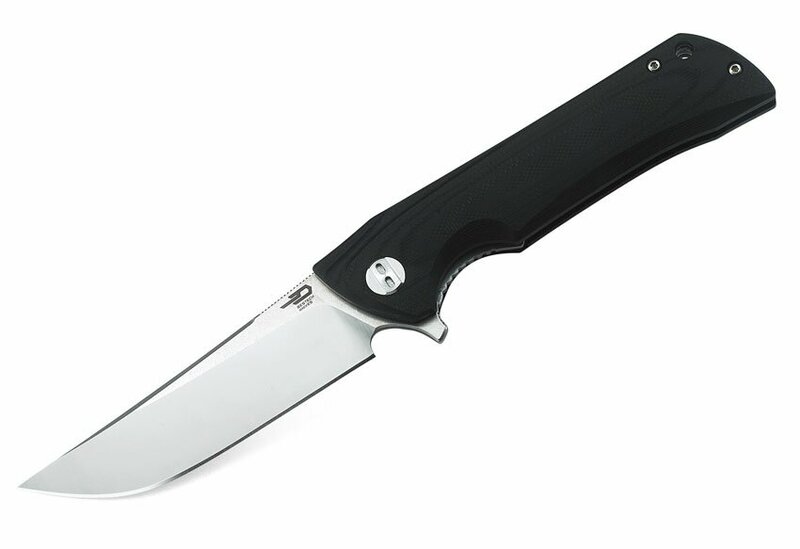 The handle, which is well-placed in the hand, made of G-10 in black color, provides a classic look and a secure grip. The handle at the back has a hole to thread the cord. Drop point blade with slightly raised profile, made of D2 tool steel, mounted on ceramic ball bearings. Flipper at the same time acting as a handguard allows the knife to be opened easily and quickly. Liner lock. A steel clip to attach a knife to a belt or pocket.